Our daughter, Lydia, went for a walk late this afternoon. On her way out and then back again she was surprised to see a baby fawn lying right next to the front porch of house! Motivated by her sighting, I grabbed my camera, put the 70-200mm lens on, and went out the door. It was just starting to rain and the cloud cover was blocking some of the light. 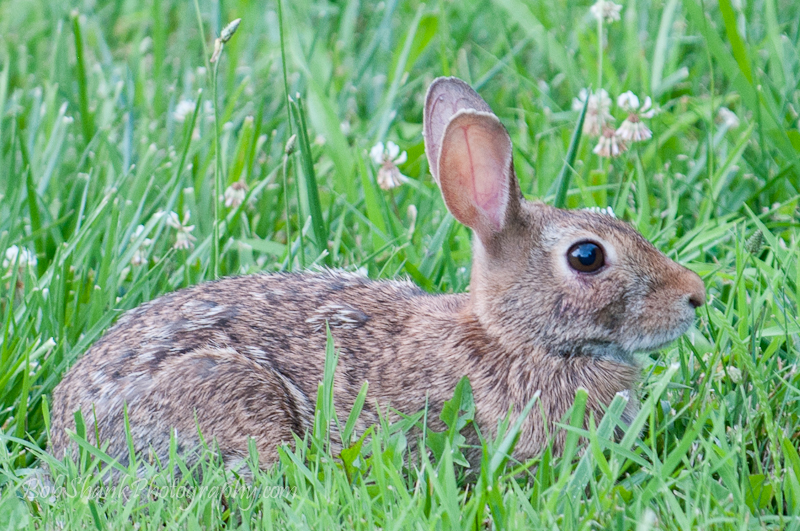 Before I even took ten steps out our back door, I spotted a rabbit. It was a young one and appeared out of nowhere! I causally moved about as if just wandering around and was able to get closer. The light was too dim for a 200 ISO setting, so I bumped it up to 400. At an aperture of f/2.8 I was getting anywhere from 1/250 – 1/325 shutter speed. This was just enough to allow me to shoot handheld and get a few nice shots. Before long, this little bunny moved into the brush, apparently having enough of my presence. 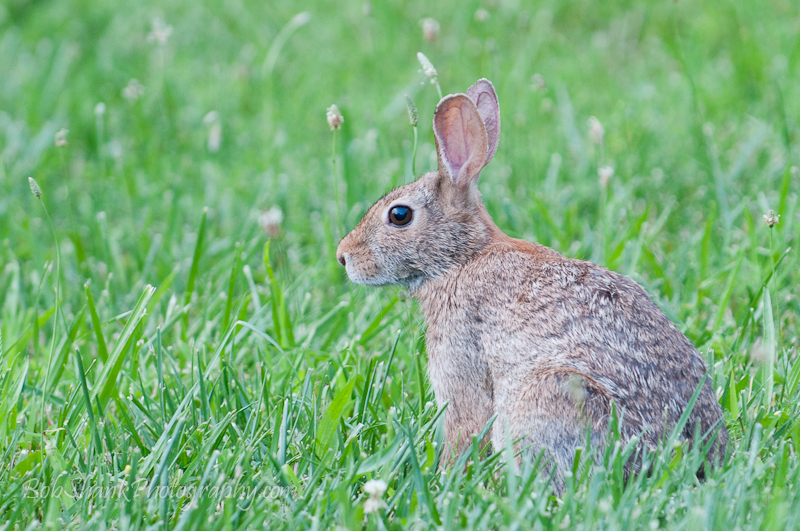 So I moved on to another rabbit sitting just beyond our driveway. This was an adult rabbit. I observed and clicked the shutter release and then watched in amazement as he stretched out his neck to get some grass to eat. This was repeated several times as the continuous frames were blasting away from my end. 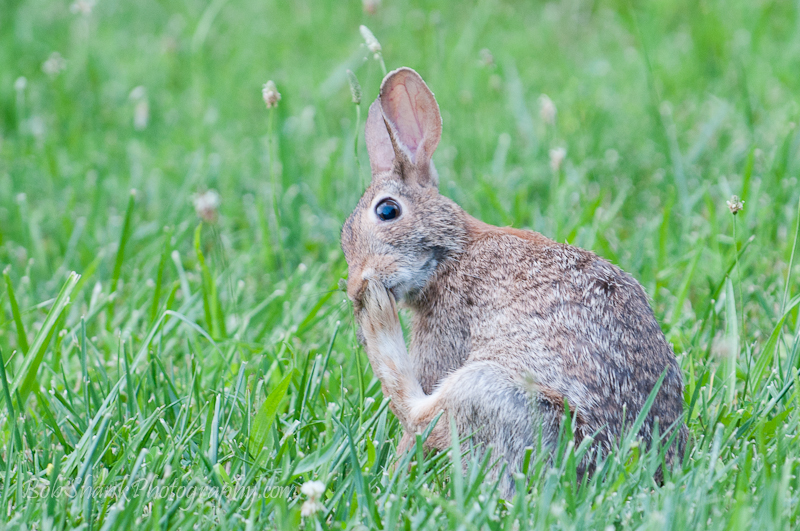 Then, almost as if on cue, this rabbit started cleaning his back foot! Wildlife is incredible and completely amazing to me. I am known to say, “There’s no place like the mountains.” I believe this deep down in my soul for a number of reasons, not the least of which is the wonderful wildlife I get to see and photograph! 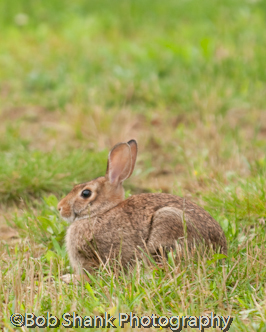 Today I was hoping to photograph a fawn but ended up photographing two rabbits who seemed to emerge out of nowhere. I just happened upon them and I’m so glad I did! 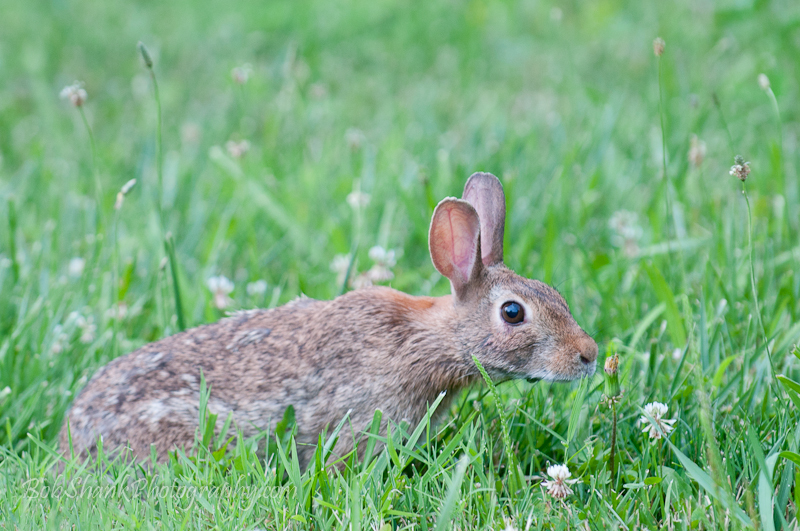 What do you think of these rabbit photos? I certainly enjoy photographing large mammals. 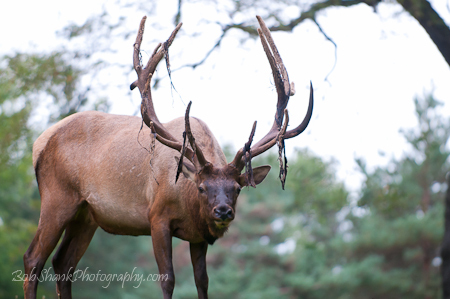 Elk and deer are my two most favorite subjects to photograph. I just cannot get enough of this kind of wildlife photography. 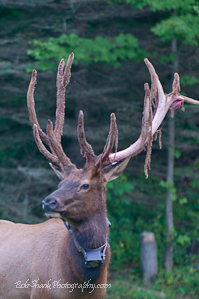 But what do you do when either you find yourself outside the elk range or when you just are not seeing the big animals? While the large animals are my first love, I am interested in all kinds of wildlife–big or small. it doesn’t matter to me what size the wildlife is just as long as I can be there to photograph it. I have come to the conclusion that all God’s creatures deserve to be photographed. We returned home from our favorite mountain last week more than a little sad to be leaving such a beautiful and awe-inspiring place. 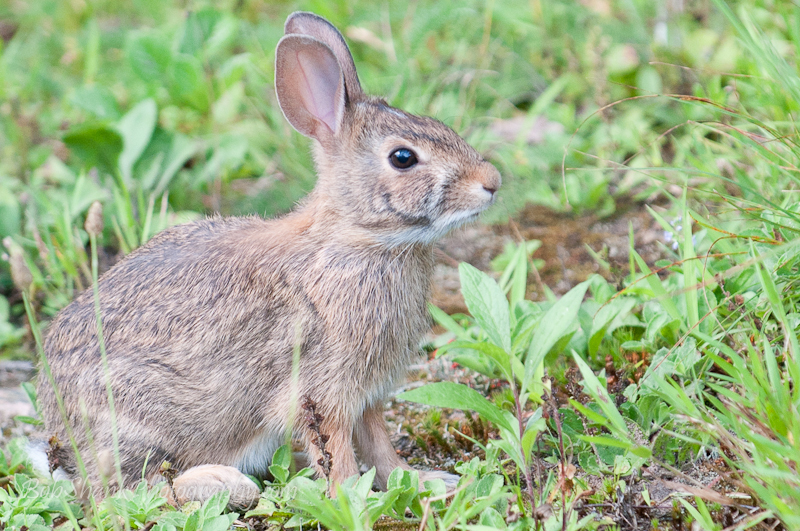 The next day I saw a rabbit sitting in our yard here at home. 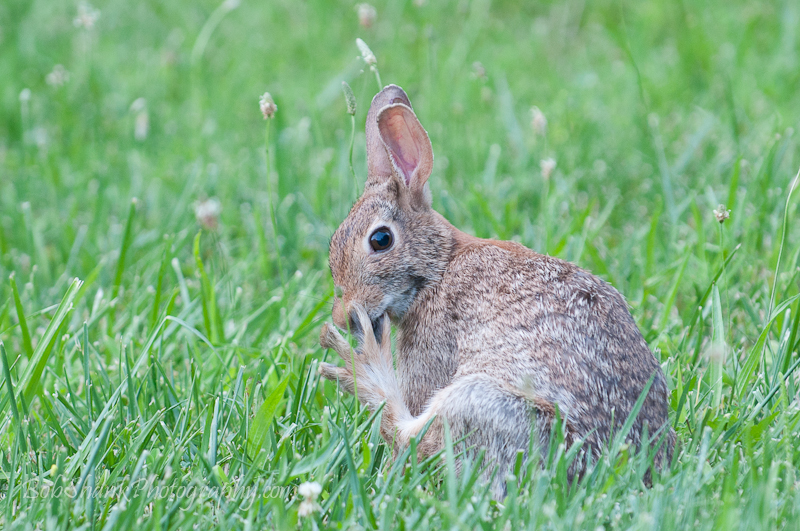 I quickly grabbed my camera and tried to capture a few photos before this little creature hopped away. Big, small, or medium-sized wildlife are okay with me!